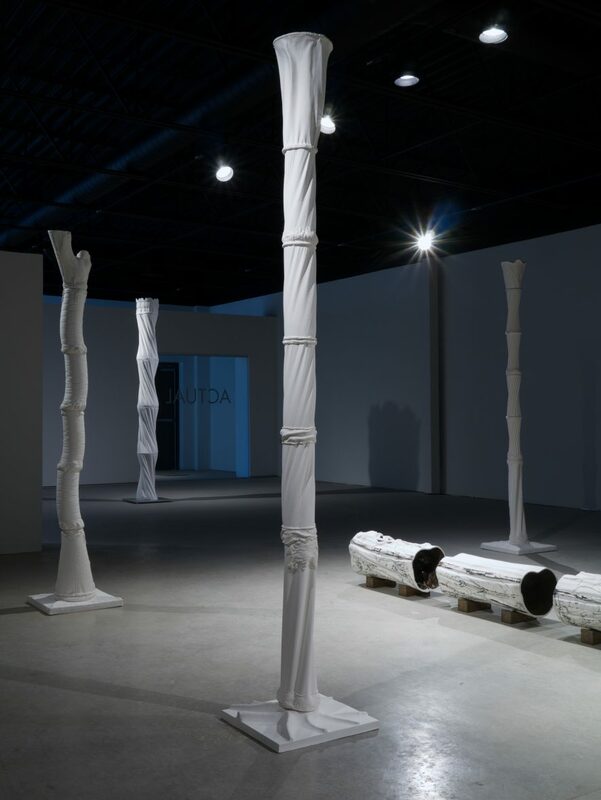 and installations in Arbor Vitae negotiate the relationship between the natural and the fabricated, the austere and the embellished, growth and decay, loss and recovery. 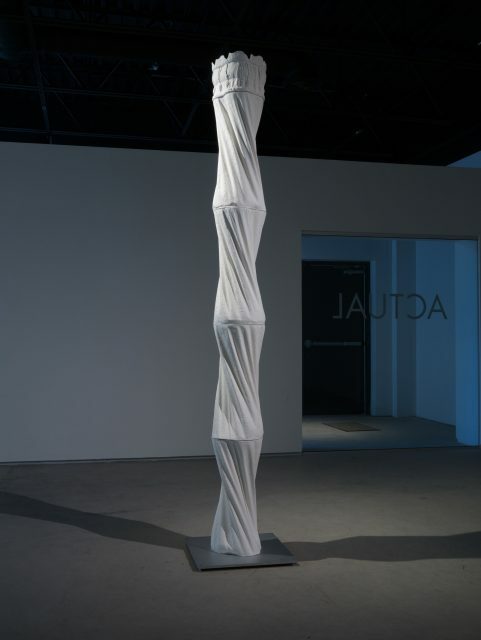 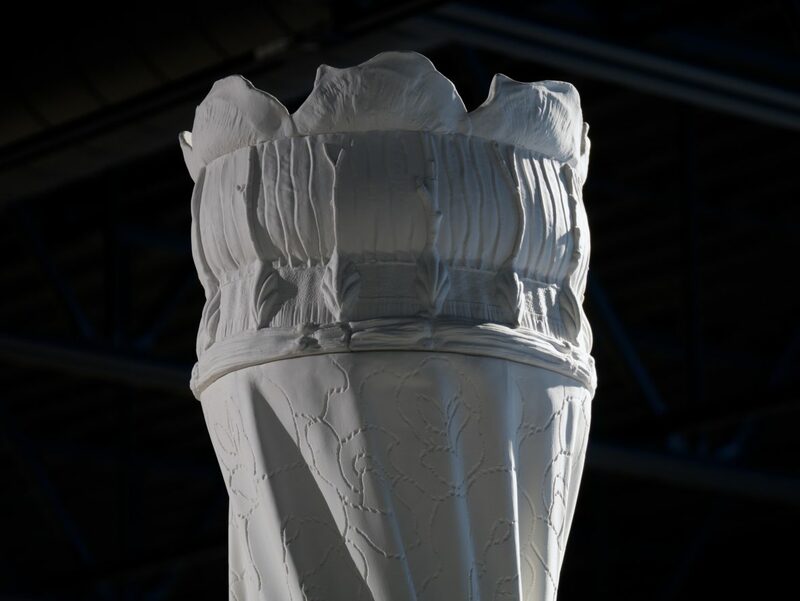 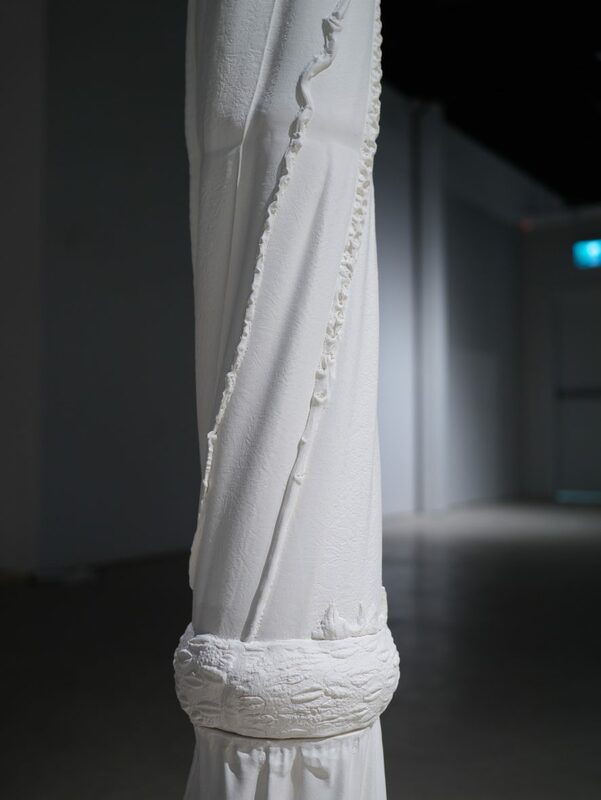 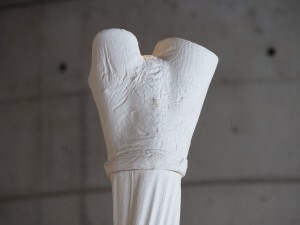 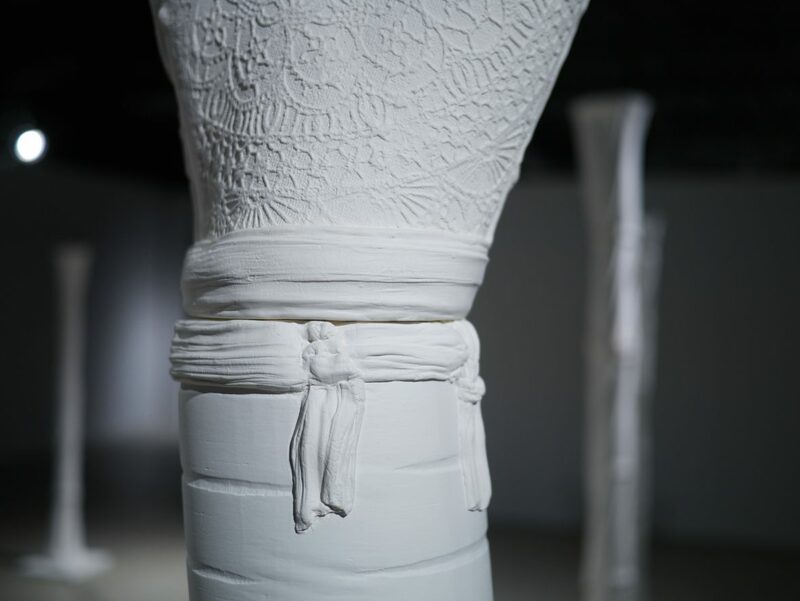 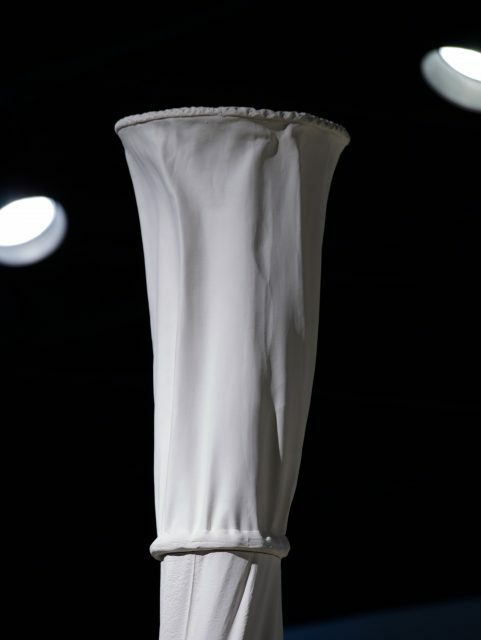 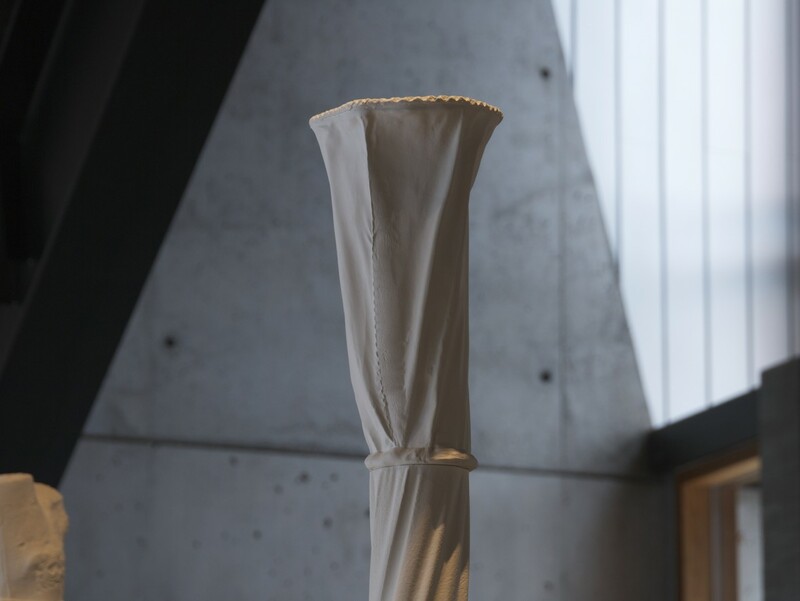 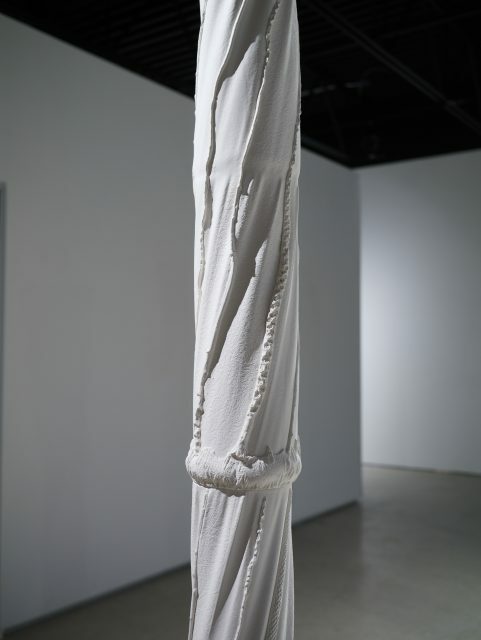 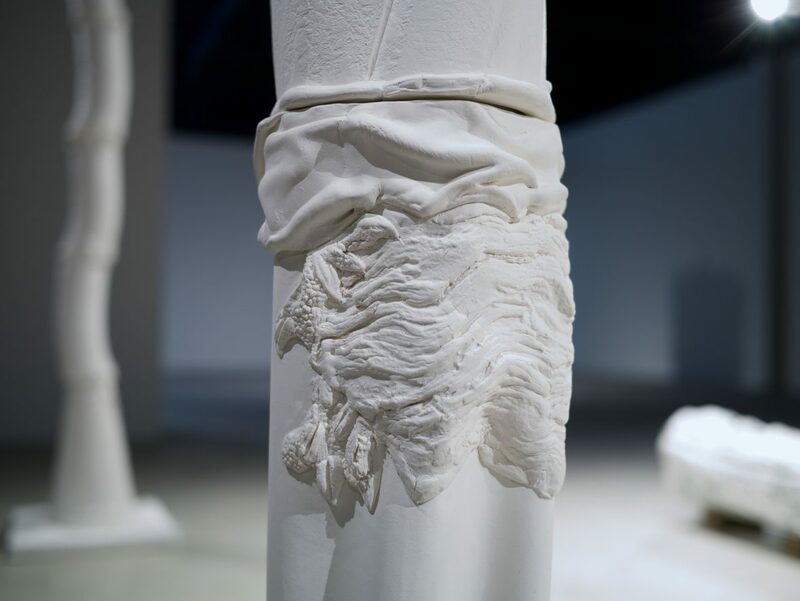 Along with more traditional processes such as slip casting, press moulding, and hand building, new and experimental technologies, including fabric-formed mould-making, vacuum forming, and laser marking, are integral to creating the three major components that make up the exhibition. 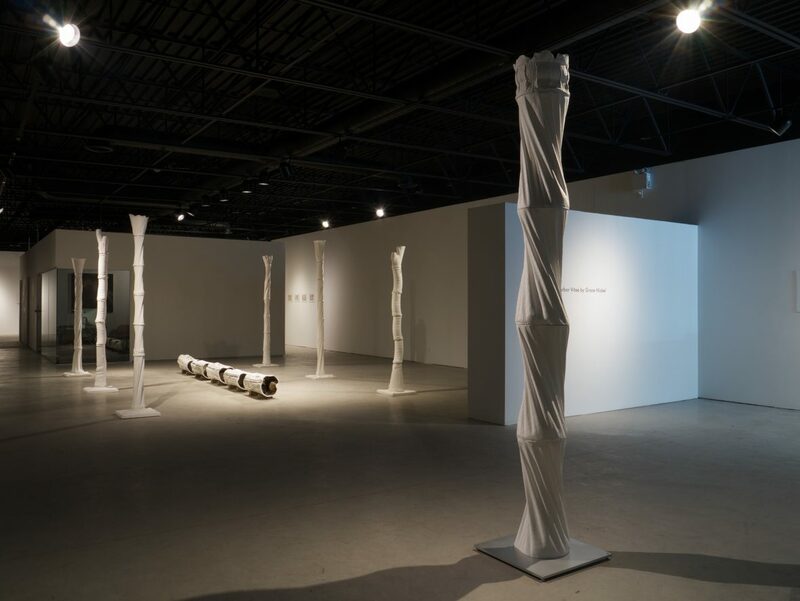 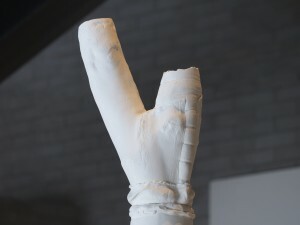 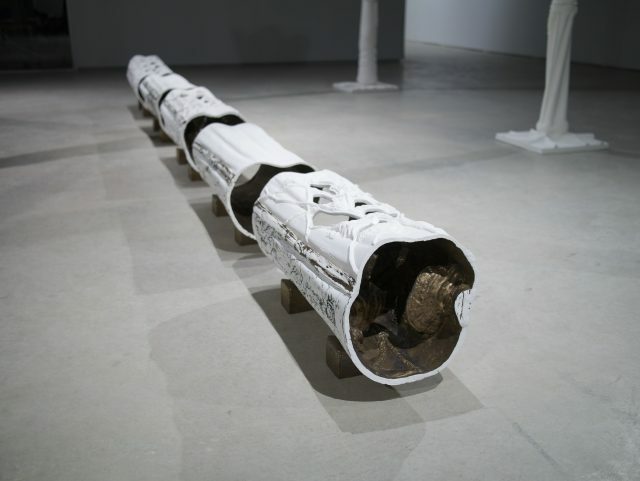 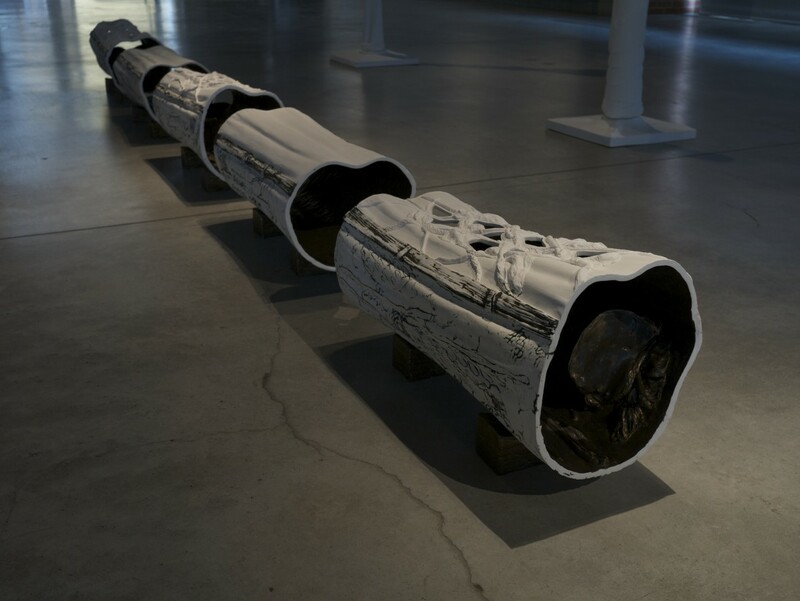 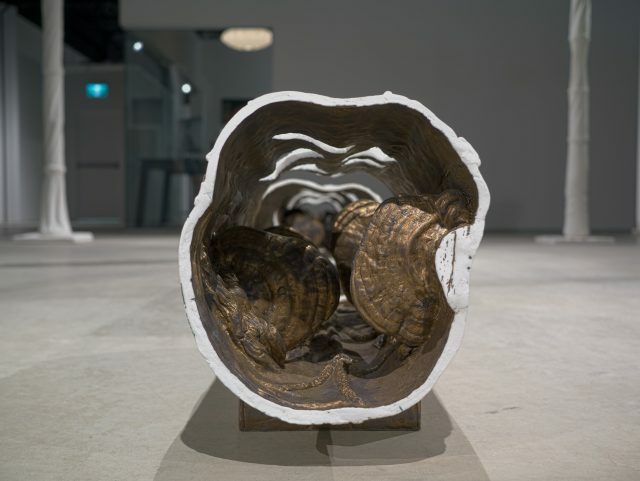 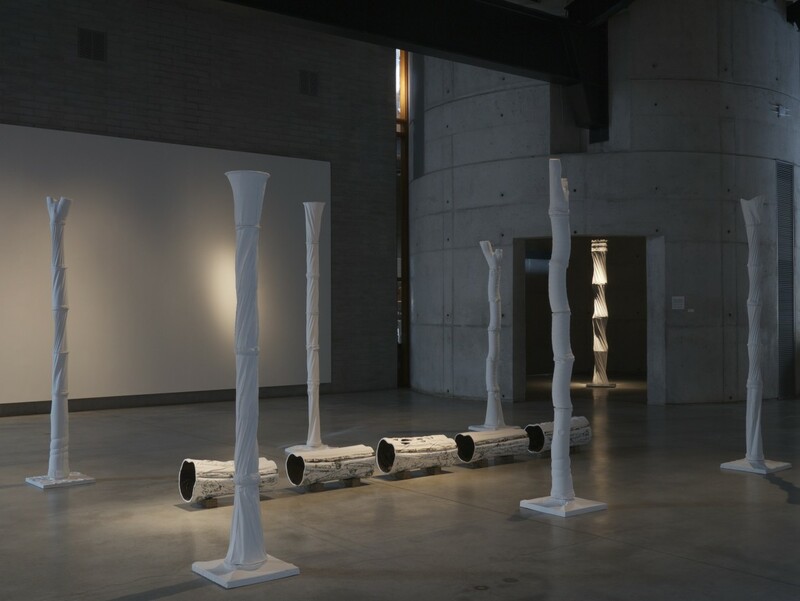 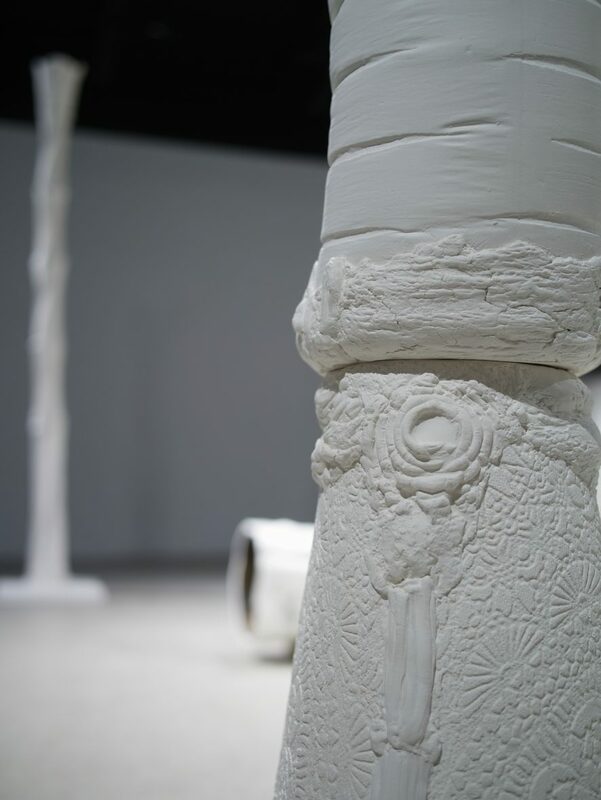 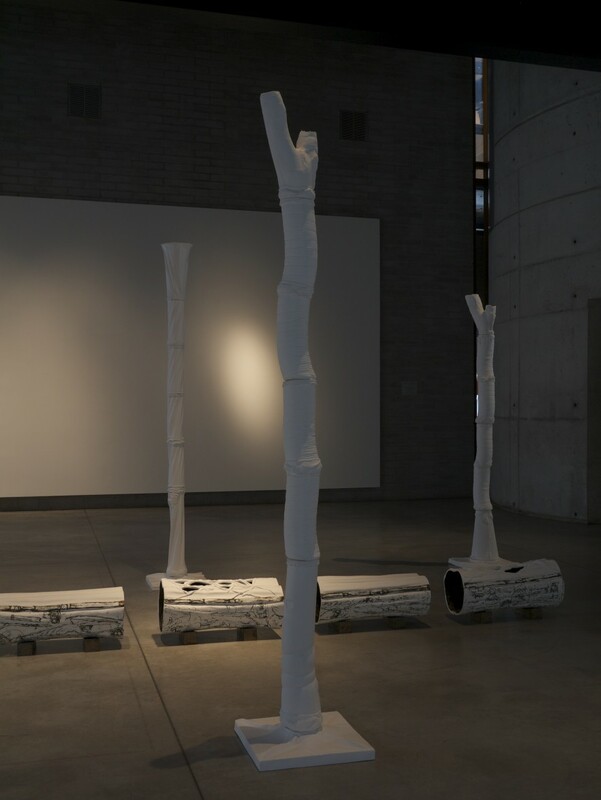 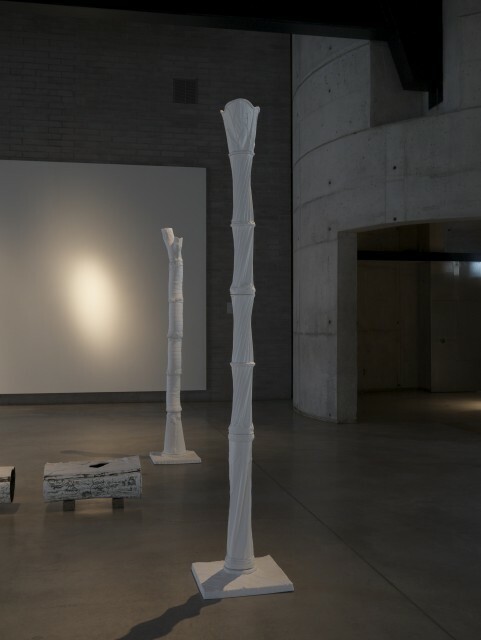 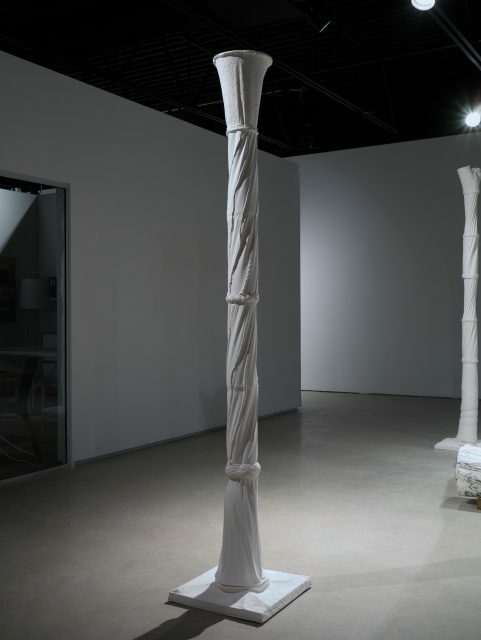 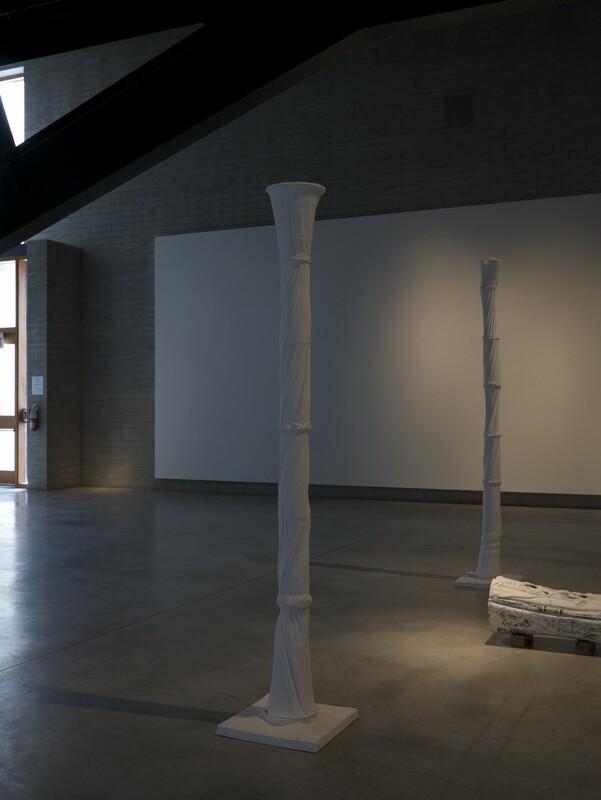 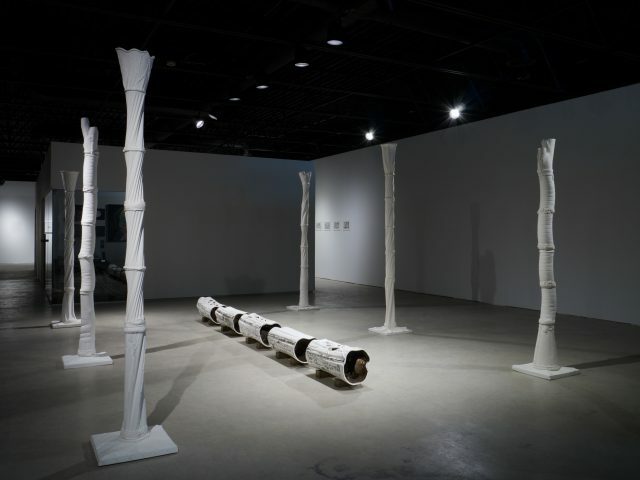 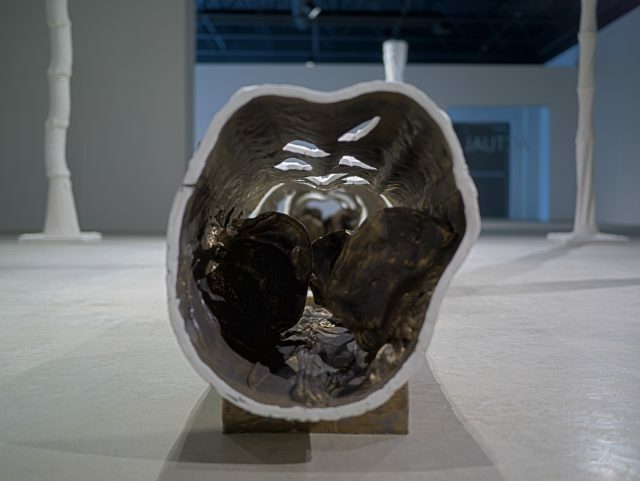 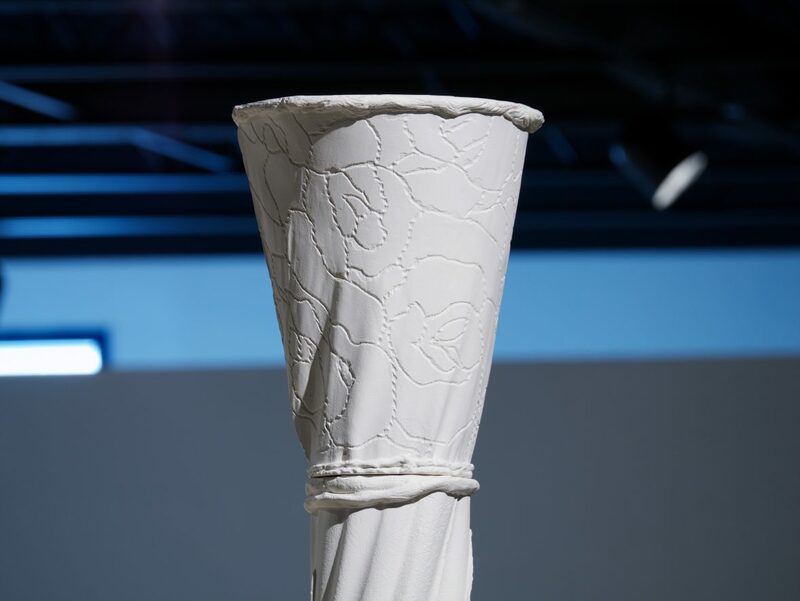 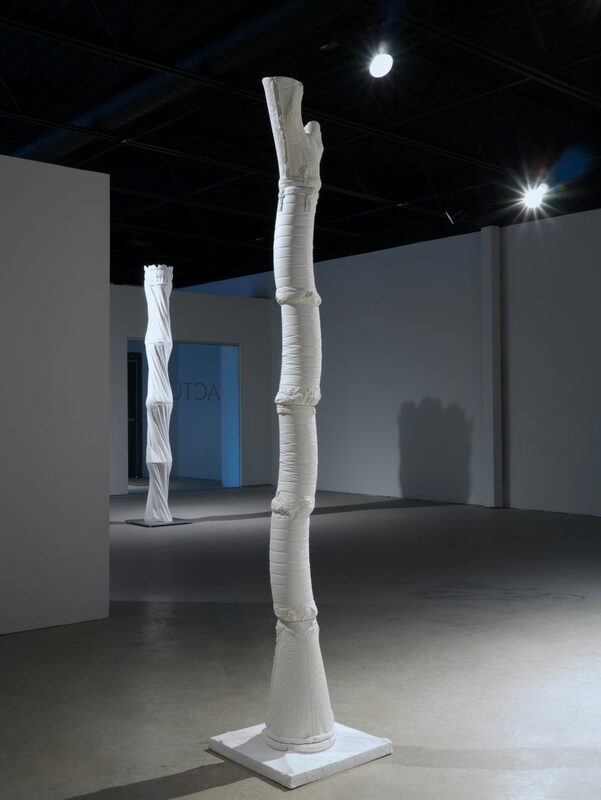 Arbor Vitae was exhibited at the Canadian Clay and Glass Gallery in Waterloo, Ontario, from January 18 to March 15, 2015, at Actual Contemporary in Winnipeg, Manitoba, from January 22 to March 19, 2016, at the Disjecta Contemporary Art Center in Portland, Oregon, from March 4 to April 1, 2017, and at the Moose Jaw Museum and Art Gallery in Saskatchewan, from May 28 to August 26, 2018. 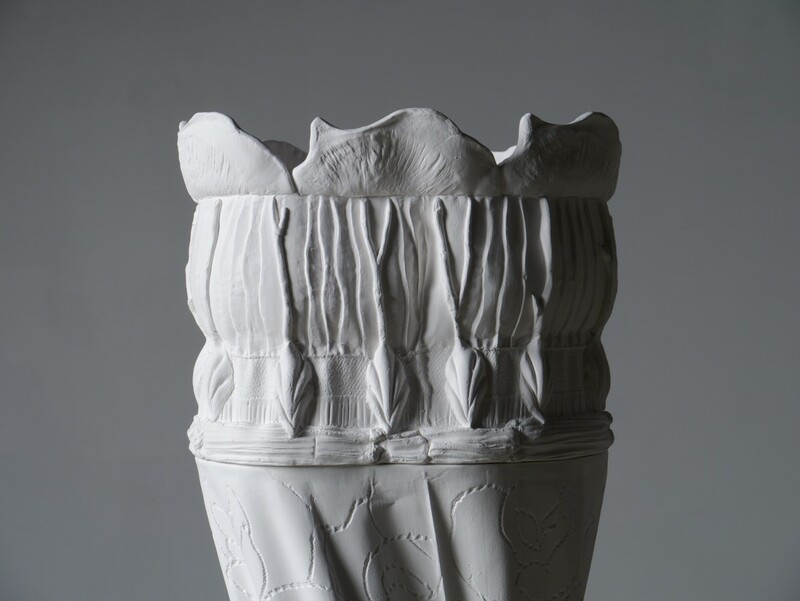 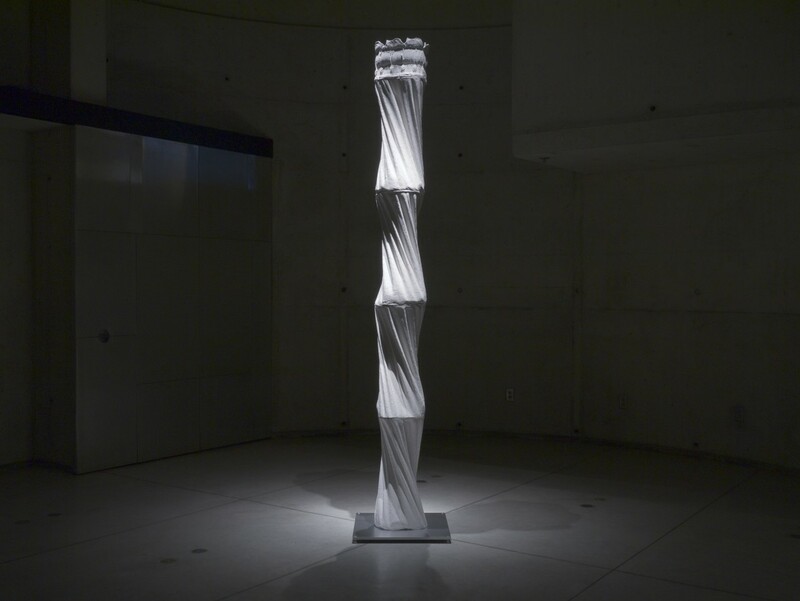 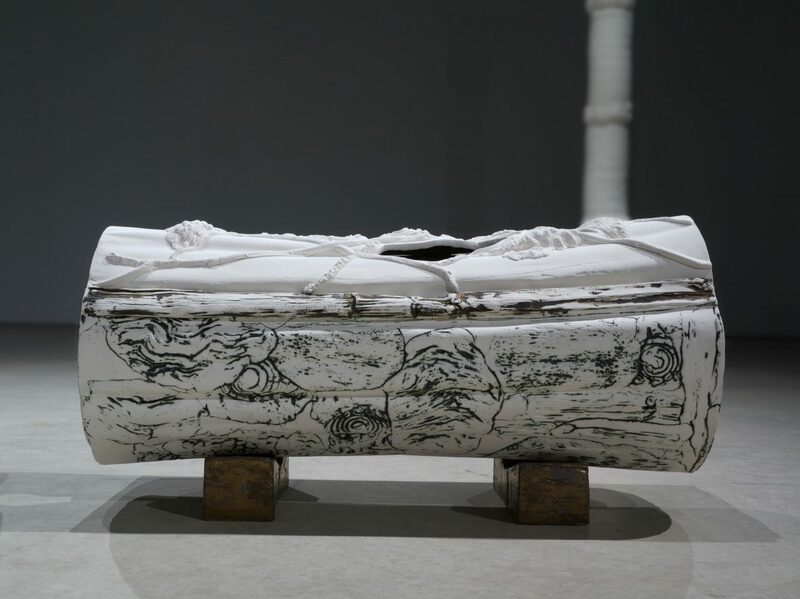 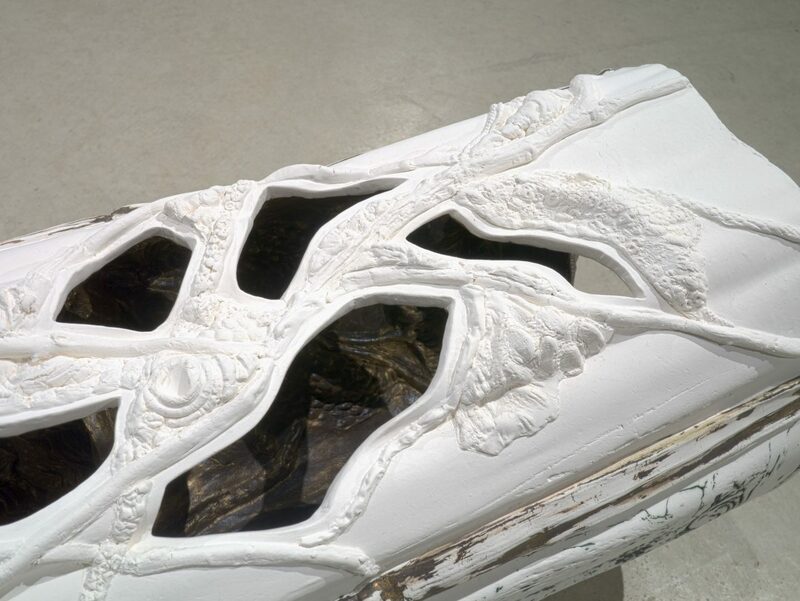 Host, Jingdezhen porcelain, slip cast with hand-built additions, metal base and armature 270 × 50 × 50 cm. Grace Nickel 2015, Arbor Vitae. 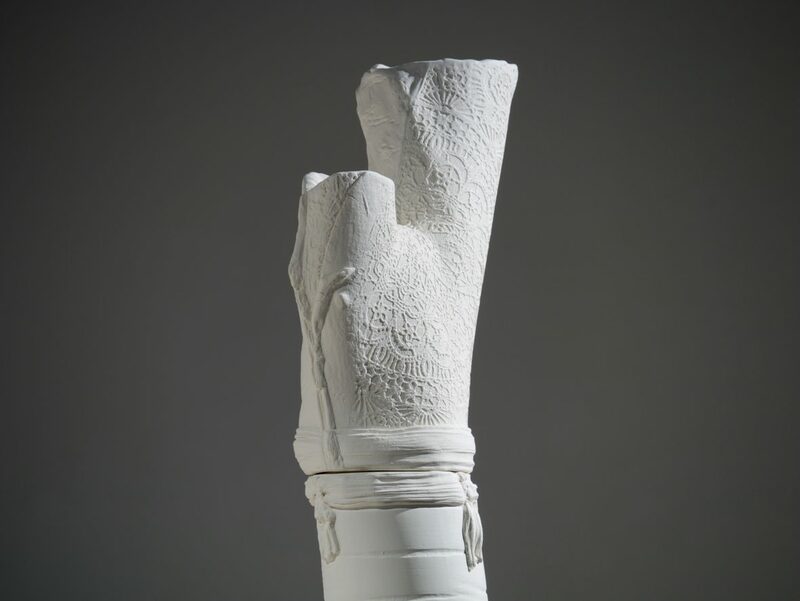 Porcelain paper clay, oxide, glaze, metal armatures. 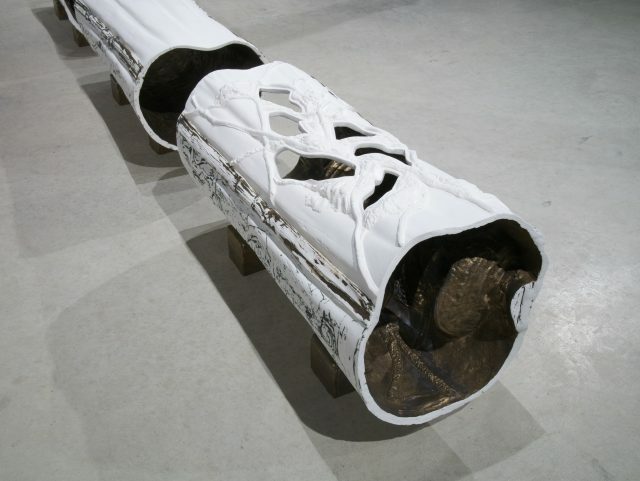 240 × 360 × 525 cm overall. 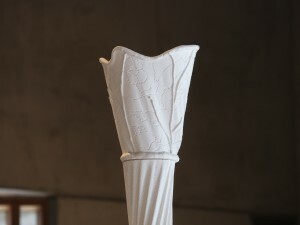 Grace Nickel 2015, Host. 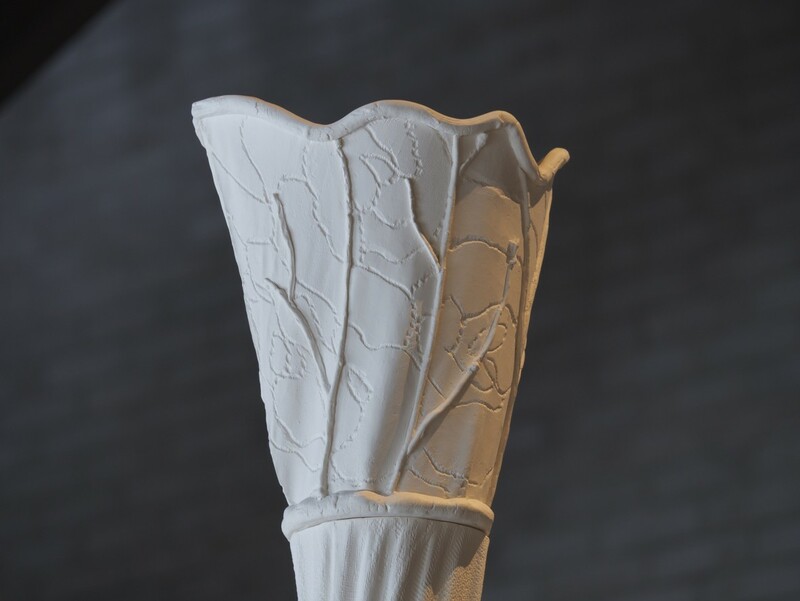 Jingdezhen porcelain, metal base and armature. 270 × 50 × 50 cm. The artist gratefully acknowledges the support of the Canada Council for the Arts, the City of Winnipeg through the Winnipeg Arts Council, and the University of Manitoba. 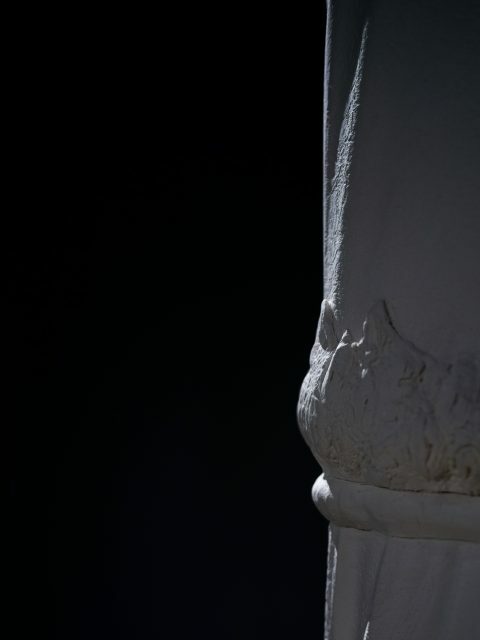 All photographs by Michael Zajac.